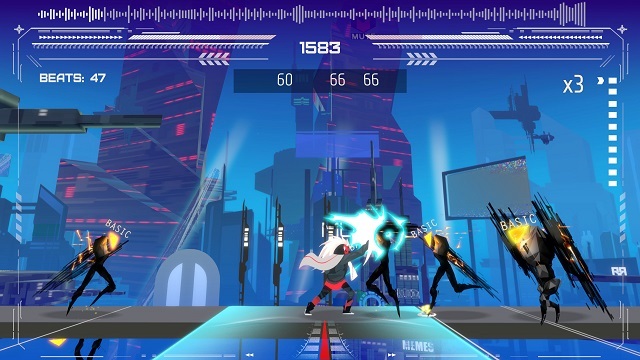 TERRORHYTHM, a music beat ’em up for PC by EvilCoGames, is headed to Steam in two days, on April 6th. In this new game you’ll follow the rhythm of music to defeat any security systems keeping the sound from a society where silence is the law. Your job is to break the complete muted control system and be the TERRORHYTHM. Feel free to watch the original teaser trailer below. And for more info including system requirements, you can visit the game’s Steam page.